One of the latest additions to Fortnite is the new Infinity Blade sword, and we happen to know the location players need to visit in order to find the legendary steel. Players looking to slice and dice their way to victory will need to find a new sword hidden in a secret location in the Fortnite map. The Infinity Sword was recently added to Fortnite in Patch 7.01 and is based on the titular weapon from the Infinity Blade mobile games, which were also developed by Epic Games. Read on to discover how to unlock the new Fortnite sword and where the Infinity Blade can be found. Where is the new Infinity Blade sword in Fortnite? To find the Infinity Blade, head over to Polar Peak and pull the sword from the stone. To find the new sword in Fortnite, dive out of that battle bus and head directly for the recently added location known as Polar Peak. It's here where you can find the Infinity Blade sword. 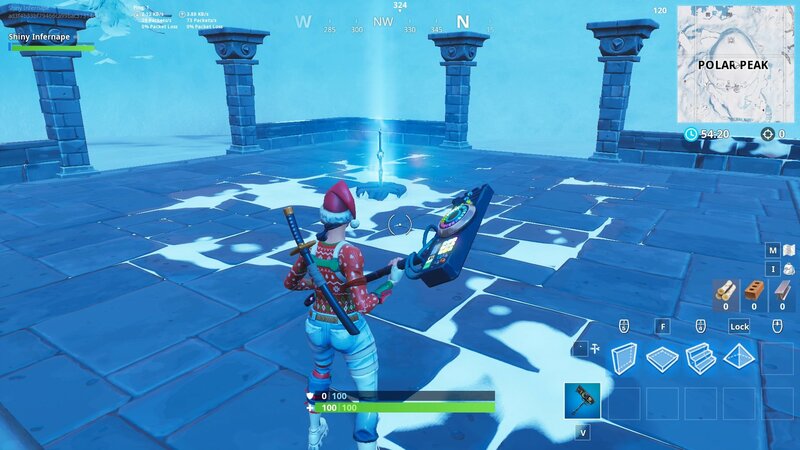 When the season first began, the castle at Polar Peak was pretty much entirely encased in ice, rendering it inaccessible. With patch 7.01, some of this ice has started to melt away. Players can now access the outside forum at the base of the castle where the sword is found. Pull it out of the earth King Arthur style and slash down the competition! The Infinity Blade automatically grants players 200 health and 200 shield once equipped, and will slowly replenish both over time similar to the Slurp Juice. It currently has two functions: its primary attack is a hefty circular strike, dealing 75 damage to foes close by, while the secondary attack is a charged leap forward where players can cover quite a lot of ground and deal a varied amount of damage to opponents. This secondary attack is quite significant because of its power to slice through structures and materials with ease. There is also no fall damage taken from this charged leap, making it a good way to traverse the map and escape the storm. 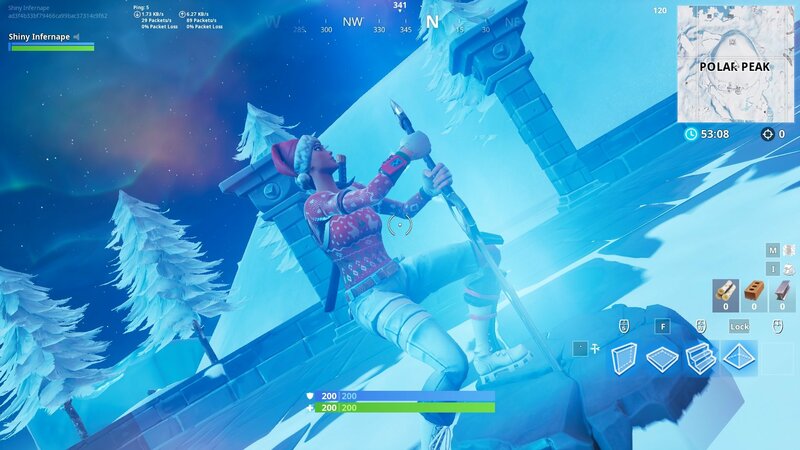 Finding the new Fortnite Infinity Blade sword location is a simple matter of heading over to the Polar Peak and pulling it from its earthen sheath. For more information about the new Fortnite Infinity Blade sword as well as details about changes made in the latest update, check out our coverage of the Fortnite version 7.01 patch notes. For the rest of your battle royale needs, be sure to stop by Shacknews’ Fortnite home page.